"The two main reasons that people do not adopt are: 1) the cost of adoption, and 2) they are afraid that they could not love an adopted child like they would a biological child." This same presenter told us that the first one is not a problem. As it turns out, there are A LOT of financial resources for those adopting. 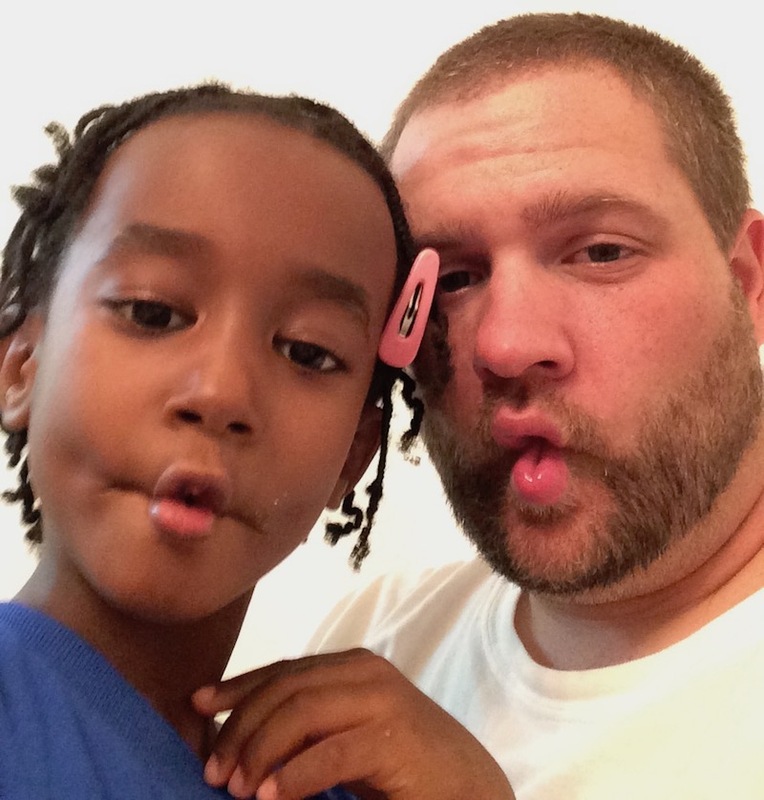 Our adoptions ended up costing around $70,000 in total, and every dime was provided by the Lord. If you are considering adoption and are worried about the finances, let me know, I would love to help you find grants/aid/etc. 1. They told me I could never love an adopted child like I would love a biological child. This is an issue that is very difficult. And it seems that among many of our friends, there is a particular tie between parents and their biological child that is different than the tie with their adopted child. To be honest, this is an issue that I cannot speak to, being that we do not have any biological children. However, I would say that I cannot imagine loving any child more than I love Kaden, Makyra, Elias and Zoey. We had a crisis when we were in Cameroon. Zoey had hurt herself, was bleeding, and we were 13 hours away from a hospital that could help her. It was a crazy time, and is somewhat of a blur. But I remember one moment, where Zoey was laying on the cement floor of our house bleeding. I had already spent an hour trying to stop the flow of blood and was just not making progress. I went to pick her up to hold her and as I did I saw the blood pooling around her. Now, in Cameroon I have seen a lot of hurt and sick kids. I have seen children near death, and looked upon the graves of many children. And for them, I felt pity. I felt love. But it was nothing like what I felt there with Zoey. She was not just some hurt kid. She was my daughter, and I loved her as a father. You can tell me that my love for her would have been stronger in that moment, had she born my DNA, but I will have to agree to disagree. But it is not always easy. We have talked on this blog before about the fact that all of our children are difficult to love at times, and one more than the others. But the truth is that love is a choice. And the world will always be full of people that are harder to love than others. And what did Jesus say? “If you love those who love you, what benefit is that to you? For even sinners love those who love them. And if you do good to those who do good to you, what benefit is that to you? For even sinners do the same. And if you lend to those from whom you expect to receive, what credit is that to you? Even sinners lend to sinners, to get back the same amount. But love your enemies, and do good, and lend, expecting nothing in return, and your reward will be great, and you will be sons of the Most High, for he is kind to the ungrateful and the evil. Be merciful, even as your Father is merciful" (Luke 6:32). God has actually commanded that we love those who are not easy to love (enemies!). He has commanded that we love even when it does not benefit us. And when we do, Jesus said that we are like God. How? Loving the unlovely reflects God's love for us. He did not choose to adopt us (Christians) because we were easy to love. The Bible instead characterizes us as ungrateful and evil. Yet he chose to love us, and not only love us, adopt us. My children have done nothing to earn my love, in fact, they sin against me every day. But I have found that I am able to love much because I have been forgiven much. 2. They told me I would regret not seeing myself in my children. The idea with this one is that when you have a child that is 50% mom and 50% dad genetically, you can see it. You can see it in their hair, or eyes, or facial expressions. In retrospect, I think this one has actually been a little bit funny. Why? Because I do see myself in my children. No, my children do not look anything like me. But in (sometimes really silly ways) they are just like Stacey and me. I will look over some times and see Elias crossing his legs, or trying to put a pen behind his ear like I do. One time, I walked in on Kaden who was in a state of sheer panic. When I asked him what was wrong, he said, "I can't find my list!" If you know anything about Stacey, you know that, in that moment, he was Stacey. The children have all adopted a passionate love of animals from Stacey. When we are in Cameroon, Makyra is rarely seen without a kitten in her hands. She dresses them up in doll clothes. The kids love to play in the rain, something utterly foreign to Bakoum (and Dave) culture. Where does that come from? Yep, Stacey. Splashing in puddles and getting all dirty and whatnot. And when I see these things I delight. Not because Stacey or I have passed on any X or Y chromosomes, but because it is so evident that they are our children. But even if it were not so evident, should that change anything? Stacey was talking to a family that had adopted older children. She asked how it was going. The mother responded that if they had adopted for themselves, they would have been very disappointed. The transition had been difficult, behavior issues complex, and the truth is that it is hard for an older child to adopt parents. But, she said, they adopted for the children, not for themselves. And in that, it has been worth it. There are people who do have children solely for their own personal joy. And the result is that we have tons of broken marriages. There are so many ways in which children are a joy. The Bible even says that they are a blessing (Psalm 127:3). But just like all blessings, we err if we try to live for the gift and not the Giver. If you are having or adopting children for the purpose of fulfillment or happiness, you will be disappointed. The times of happiness exist, but they do not outweigh the pain when your teenager tells you they hate you. They don't outweigh the heartbreak of seeing them look you in the eyes and boldly lie. Parenting is more sacrifice than it is happy times. But, if you have/adopt children for the Lord, you find that you can have joy even in those hard times. 3. They told me it would be hard for black children to be raised by white parents. I grew up with a family where the husband was black and the mom was white. And I talked to them from time to time and heard that sometimes people were mean to them because of this. Being in Cameroon, our kids are seen as different. They are called "the whites" by the neighborhood kids. And they are still young, and to be honest, I am not sure how this will affect them as they grow older. However, I want to consider just for a second what we adopted them out of. All of our kids were in an orphanage when we adopted them. When we went to pick up Kaden and Makyra the orphanage consisted of a three-room house with around 30 infants. 30 infants! And there were only a few women who worked there taking care of all of these babies. This orphanage relied on donations from the West, as well as the salary of an Ethiopian Christian family just to operate. The workers genuinely loved the children and cared for them as best as they could, but it was hard. 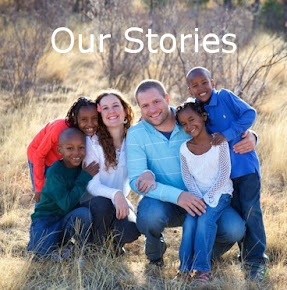 When we adopted Elias and Zoey, the orphanage had moved to a larger building, but also had more children. Zoey had scabies so bad that she constantly rubbed her little feet together because they itched. In fact, when we were in the US and had killed all of the little bugs, she would still rub her feet together because she had developed a habit. Both Makyra and Kaden were near death because of abandonment when just after birth. Most of our children were developmentally behind because of the restrictions of orphanage life. And further, had they remained in the orphanage, studies show that 60% of girls that age out of orphanages world-wide end up in prostitution. 70% of boys that age out end up as hardened criminals. So, is it harder for our kids than it is for kids whose skin matches that of their parents? Yes, I am sure that it is. But is this life harder than a life as an orphan? There is no question, the answer is: No! We had a particularly hard day with Elias, not long ago. Sometimes we just get to our wit's end. We have tried everything we can think of to encourage him to do what is right. On this day, Stacey was working with him and finding it difficult to discipline in love. And after an entire day of this, Elias came up to her and said, "Thank you Mommy for adopting me. I know you love me." These times happen rarely, but they sure are a blessing. We do love them, more than I ever would have imagined. And I am thankful that we did not let the fears stop us.